The day has come: the much-beleaguered film has finally seen the light of the day. When you think of the DC Comics universe, there is no bigger team than the Justice League. Batman, Wonder Woman, Aquaman, the Flash, Cyborg, and the man of steel himself, Superman; that is the most current iteration of the team. But with a change of directors and rewrites abound, did Justice League live up to the prestige the name has in the comic book world? Spoilers abound from here, folks. From director Zack Snyder, whom had to leave during production due to a family emergency, and director Joss Whedon, this movie could have felt like Frankenstein’s Monster, but instead, I have one word to sum up this film: fun. Fun, inside of what has been established as a very dark and bleak DC universe, save for Wonder Woman. The film kicks off directly after Batman V Superman: Superman is dead, and the world is falling apart. 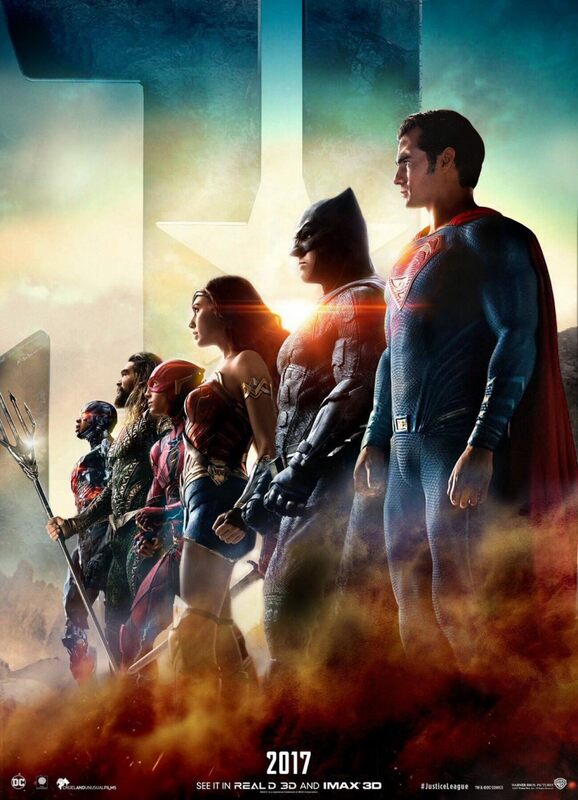 Bug like alien sightings have been happening around the globe, and when Steppenwolf (Ciaran Hinds) makes his presence known, it poses Batman (Ben Affleck) and Wonder Woman (Gal Gadot) to assemble a team of super people to help combat the impending evil. Enter the debuting members of the Justice League: Aquaman (Jason Momoa), a tough as nails, brash Atlantean with super strength and water bases abilities. The Flash (Ezra Miller), an awkward, isolated young adult with speed that can very well make him the fastest man alive. Cyborg (Ray Fisher), a talented, intelligent young man who’s life changed when he became merged with machines as a way to save his life. The new members all do an outstanding job of stepping up to the plate, with Miller’s Flash being one of the big stand outs of the film. What’s missing from the league? The big, red boy scout himself, Superman. Being brought back in a questionable manner, Superman (Henry Cavill) not only completes the team, but also gives a standout performance. The essence of Superman is something I felt has been missing from the modern cinematic version of the character. The lightheartedness, the heart- it was all doom and gloom in previous films. With Justice League, we get the Superman we all wanted- even if he has a somewhat questionable Photoshop job on Cavill’s mustache. The film isn’t perfect, let’s say that right off the bat. The villain, though tough and menacing, seems like more of a precursor to something bigger- it’s just a shame that we didn’t get to see his boss, Darkseid, in this film. My main leaguer than just didn’t hold up to the rest is sadly Batman. I don’t know if it has to do with Affleck’s dilemma right now with if he will stay as Batman, but he just felt very out of place at times. He also seemed very much out of character: if you are Batman, the great detective, you find ways to win, you plan ahead. This Batman would rather show his human side than the Dark Knight the world needs. An extremely fun film with tons of cool Easter Eggs (Green Lantern!) and one of the best end of the credit scenes in years, Justice League delivers. If you walk out of this film without a smile on your face, you may have been watching a different movie.